It is assumed that users have adequate soldering skills and troubleshooting skills to assemble the DSO138 kits. It is not guaranteed that you will end up with a working device. But we make as much efforts as we can to approach that goal. Before packing each mainboard has been tested to ensure no short or open on MCU soldering (see [Video] Board Test in Production ). Each LCD board is also tested to verify soldering is good and display is functional. However, all the rest components are provided with good quality at our best knowledge. They are not tested since that is not practical in production. For 13804K kit SMD component soldering skills are required. SMD parts should be installed before all other through-hole parts. It is strongly suggested to search the internet to get knowledge of SMD soldering if you are not sure of and want to purchase the 13804K kit. DSO138 was designed as a training oscilloscope kit. It contains only the basical oscilloscope functions with no fancy features. Simplicity in structure and easiness in assembly/operation are among the main targets of the design. For these purpose DSO138 uses mostly through-hole parts. The heart of DSO138 is a Cortex-M3 ARM processor (STM32F103C8) from ST. 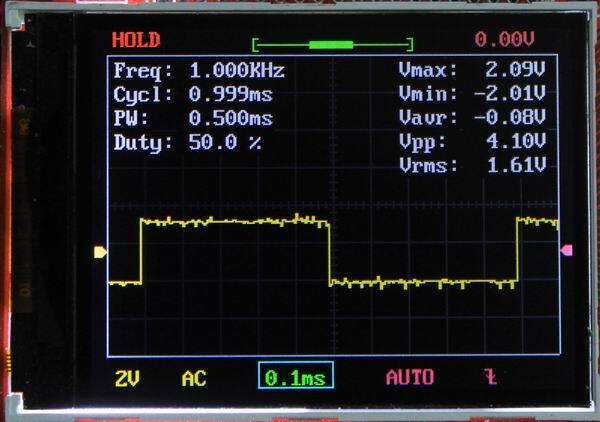 It uses 2.4-inch TFT LCD (320 X 240 dotmatrix, 262K colors) as its display element and displays nice and clear waveforms. Detailed assembly instructions are provided in combination with troubleshooting guide and schematc. Source codes are also available to allow user to add their own features. DSO138 kits are sold in two configurations. One is with all SMD parts pre-soldered (PN: 13803K, replacing 13801K). The other is with only the main IC (the MCU) pre-soldered (PN: 13804K, replacing 13802K). The latter serves also as a SMD soldering training kit. For both configurations the MCU has been pre-programmed and no re-programming required. Significantly lowered noises. 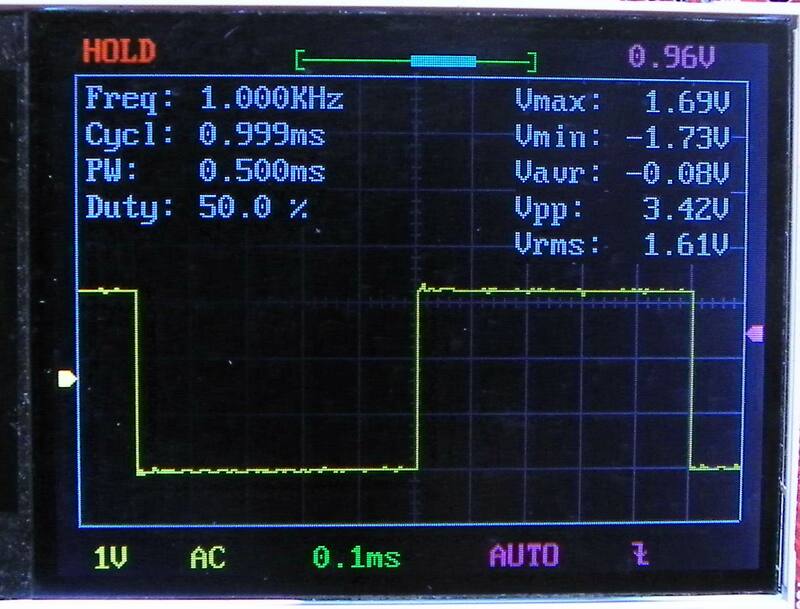 Comparing: [NEW] vs [OLD] in measuring the built-in test signal. Waveform can be saved to and recalled from non-volatile memory. Enhancement in Test Mode with auto short-circuit detection capability. Supports two types of TFT controllers (ILI9341 and ILI9325/9328). DSO138 is partially open-sourced. This opens the possibility for users to add different features or develop new applications on the hardware. Package includes all parts, case/enclosure and power plug/supply. All the documents below also backup in dropbox download page. Very useful DIY oscilloscope for little signals. Nice power adapter with US plug, good quality case too.